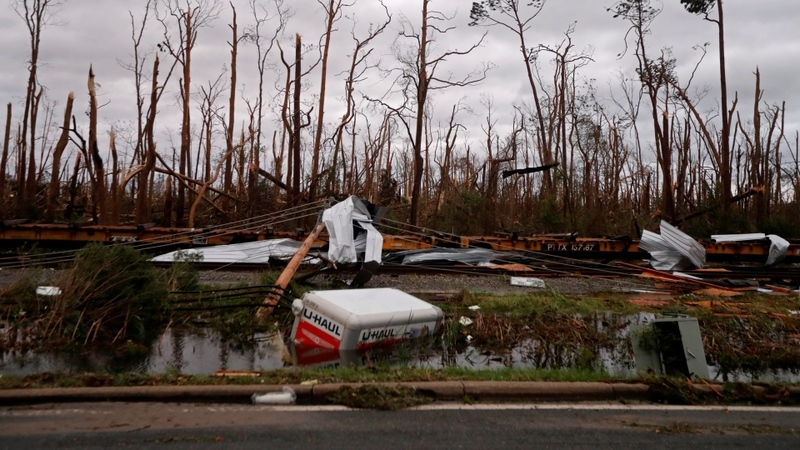 PANAMA CITY, Fla. -- Hurricane Michael slammed into the Florida Panhandle with terrifying winds of 250 km/h Wednesday, splintering homes and submerging neighbourhoods before continuing its destructive charge inland across the Southeast. It was the most powerful hurricane to hit the continental U.S. in nearly 50 years and at least one death was reported during its passage. 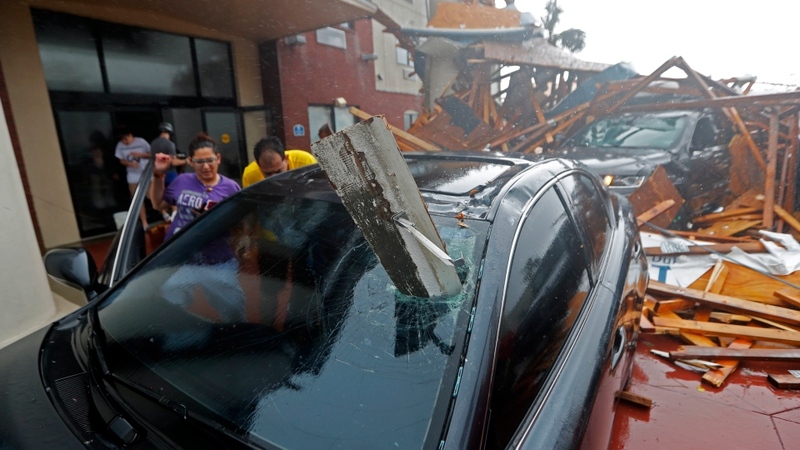 Supercharged by abnormally warm waters of the Gulf of Mexico, the Category 4 storm crashed ashore in the early afternoon near Mexico Beach, a tourist town about midway along the Panhandle, a 200-mile (320-kilometre) stretch of white-sand beach resorts, fishing towns and military bases. 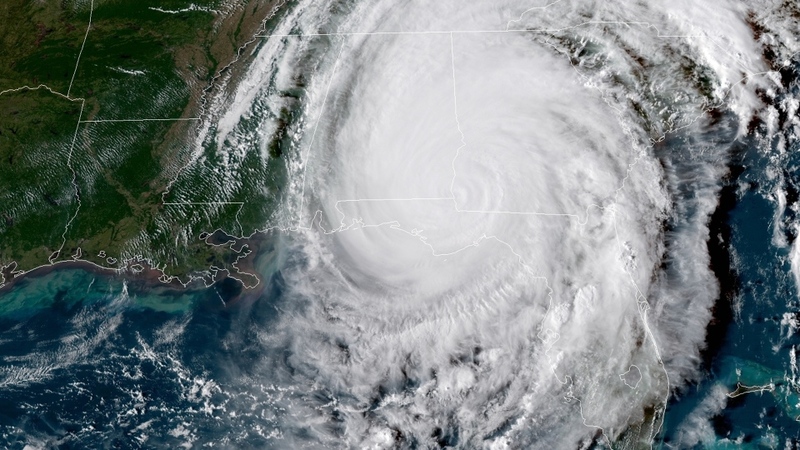 After it ravaged the Panhandle, Michael barrelled into south Georgia as a Category 3 hurricane -- the most powerful ever recorded for that part of the neighbouring state. It later weakened to a Category 1 hurricane, and there were reports it spawned possible tornadoes in central Georgia. 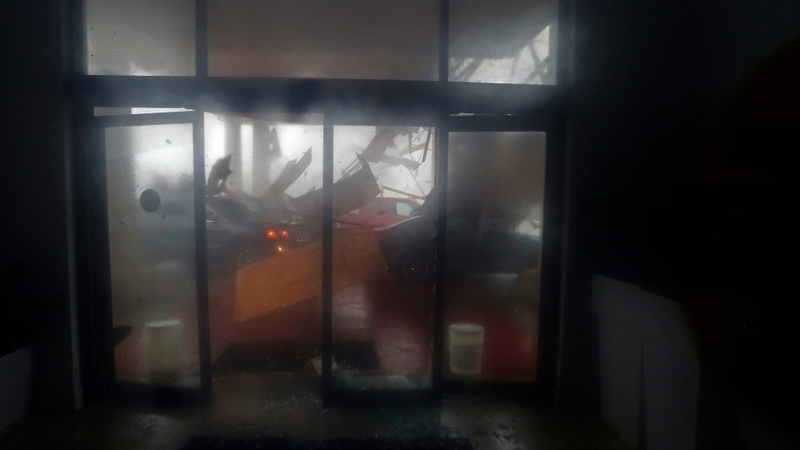 In north Florida, Michael battered the shoreline with sideways rain, powerful gusts and crashing waves, swamping streets and docks, flattening trees, shredding awnings and peeling away shingles. It set off transformer explosions and knocked out power to more than 388,000 homes and businesses. A Panhandle man was killed by a tree that toppled on a home, Gadsden County Sheriff's Office spokeswoman Anglie Hightower said. But she added emergency crews trying to reach the home were hampered by downed trees and debris blocking roadways. The man wasn't immediately identified. Damage in Panama City was extensive, with broken and uprooted trees and power lines down nearly everywhere. 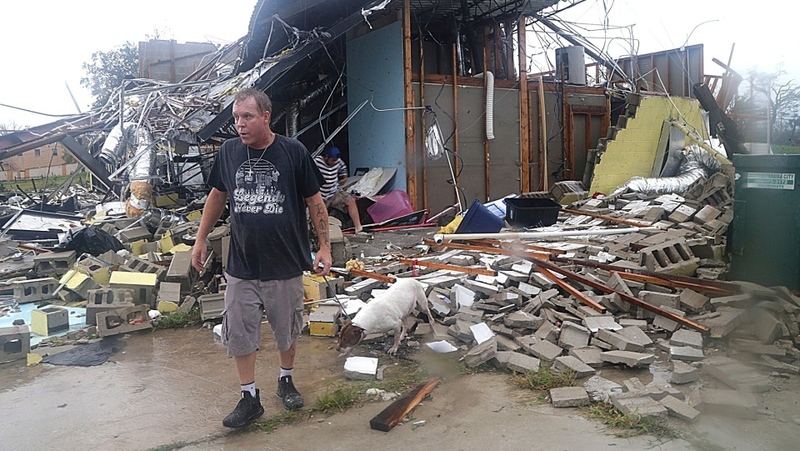 Roofs were peeled off and homes split open by fallen trees. Twisted street signs lay on the ground. Residents emerged in the early evening to assess damage when rains stopped, though skies were still overcast and windy. Vance Beu, 29, was staying with his mother at her apartment, Spring Gate Apartments, a small complex of single-story wood frame apartment buildings. A pine tree punched a hole in their roof and he said the roar of the storm sounded like a jet engine as the winds accelerated. Their ears even popped as the barometric pressure dropped. "It was terrifying, honestly. There was a lot of noise. We thought the windows were going to break at any time. 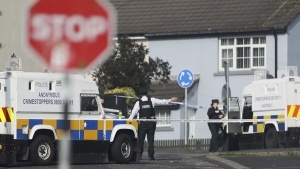 We had the inside windows kind of barricaded in with mattresses," Beu said. Kaylee O'Brien was crying as she sorted through the remains of the apartment she shared with three roommates at Whispering Pines apartments, where the smell of broken pine trees was thick in the air. Four pine trees had crashed through the roof of her apartment, nearly hitting two people. Her 1-year-old Siamese cat, Molly, was missing. "We haven't seen her since the tree hit the den. She's my baby," O'Brien said, her face wet with tears. In Apalachicola, Sally Crown rode out the storm in her house. The worst damage -- she thought -- was in her yard. Multiple trees were down. But after the storm passed, she drove to check on the cafe she manages and saw breathtaking destruction. Gov. Rick Scott announced soon after the powerful eye had swept inland that "aggressive" search and rescue efforts would get underway as conditions allow. He urged people to stay off debris-littered roads. "If you and your family made it through the storm safely, the worst thing you could do now is act foolishly," he said. Michael was a meteorological brute that sprang quickly from a weekend tropical depression, going from a Category 2 on Tuesday to a Category 4 by the time it came ashore. It was the most powerful hurricane on record to hit the Panhandle. More than 375,000 people up and down the Gulf Coast were urged to evacuate as Michael closed in. But the fast-moving, fast-strengthening storm didn't give people much time to prepare, and emergency authorities lamented that many ignored the warnings and seemed to think they could ride it out. Diane Farris, 57, and her son walked to a high school-turned-shelter near their Panama City home, where about 1,100 people crammed into a space meant for about half as many. Neither she nor her son had any way to communicate because their lone cellphone got wet and quit working. "I'm worried about my daughter and grandbaby. I don't know where they are. You know, that's hard," she said, choking back tears. "Oh my God, what are we seeing?" said evacuee Rachel Franklin, her mouth hanging open. The hotel swimming pool had whitecaps. 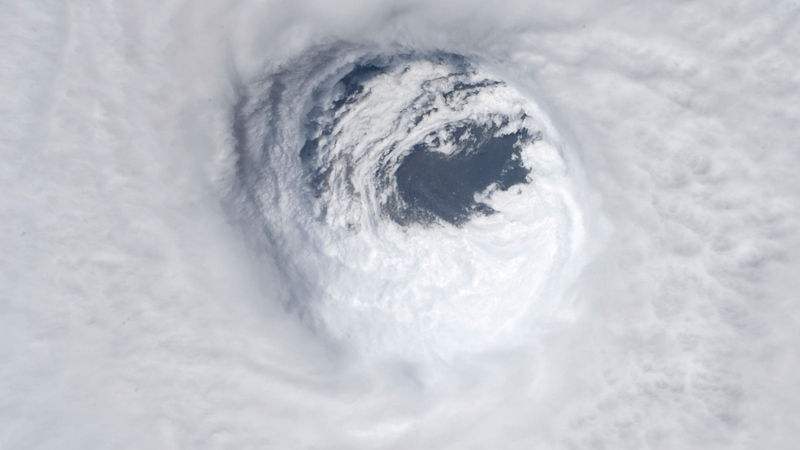 Hurricane-force winds extended up to 45 miles (72 kilometres) from Michael's centre at the height of the storm. Forecasters said rainfall could reach up to a foot (30 centimetres) in spots. And then there was the life-threatening storm surge. 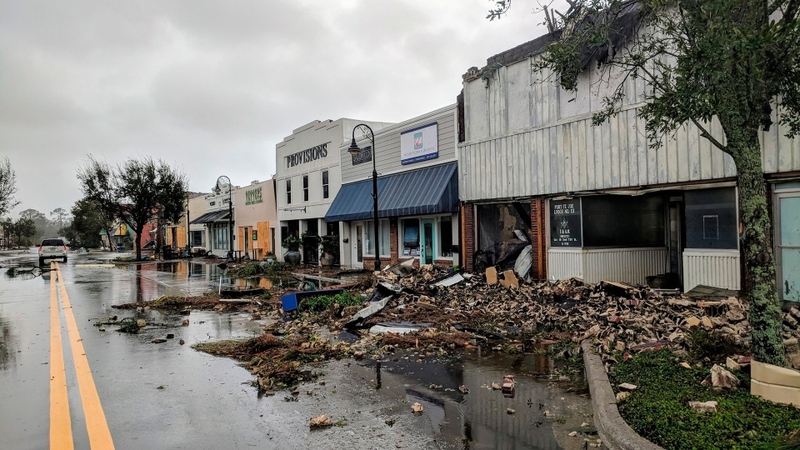 A water-level station in Apalachicola, close to where Michael came ashore, reported a surge of nearly 8 feet (2.4 metres). Forecasters said it would unleash damaging wind and rain all the way into the Carolinas, which are still recovering from Hurricane Florence's epic flooding. At the White House, President Donald Trump said, "God bless everyone because it's going to be a rough one," he said. "A very dangerous one." His office said he would tour the devastated areas next week. In Mexico Beach, population 1,000, the storm shattered homes, leaving floating piles of lumber. The lead-grey water was so high that roofs were about all that could be seen of many homes. The storm is likely to fire up the debate over global warming. And with Election Day less than a month away, the crisis was seen as a test of leadership for Scott, a Republican running for the Senate, and Tallahassee Mayor Andrew Gillum , the Democratic nominee for governor. Just as Northern politicians are judged on how they handle snowstorms, their Southern counterparts are watched closely for how they deal with hurricanes. Associated Press writers Tamara Lush in St. Petersburg, Fla.; Terry Spencer in Fort Lauderdale, Fla.; Freida Frisaro in Miami; Brendan Farrington in St. Marks, Fla.; Russ Bynum in Keaton Beach, Fla.; Jonathan Drew in Raleigh, North Carolina; and Seth Borenstein in Kensington, Md., contributed to this story. Hurricane Michael has made landfall, and we are continuing to prepare rapid response efforts. We have trucks loaded with tons of food, water, and other critical supplies ready to move in- including 1.5 million Meals Ready-to-Eat and 1 million gallons of water.